the best recipes for common ailments! A massage oil recipe includes essential oils blended with a carrier oil, to create a therapeutic treatment for aches, pains, and skin care needs. Natural oil blends are created to address specific ailments, disorders, or conditions. Because essential oils are living plant extracts, they contain many healthy benefits, as well as a combination of properties that affect our physical and emotional well-being. High quality essential oils are highly concentrated and contain no synthetic additives. Essential oils are sometimes too concentrated to be use directly on the skin, so they are blended with a natural carrier oils, which are chosen according to therapeutic needs. After oils are blended with carrier oils,they are usually heated in a massage oil warmer, which promotes instant relaxation for the client. It is very important to use them within one year, as the essential oils in any recipe, using a carrier oil, will lose it's strength over time. You always want to use the freshest, purest blends for the skin. The ability to blend your own massage oils is great because you then know exactly what your oil contains. The better the ingredients, the better benefits for the skin. A quality base or carrier oil has healthy properties like Vitamins A, B1, B2, B6, and E, and can be used in most massage oil recipes. Grapeseed and sweet almond are two that are known for these healthy properties. So, when you combine the carrier oil with the benefits of essential oils, you produce a massage oil that ads a whole new healing dimension to the massage therapy session. 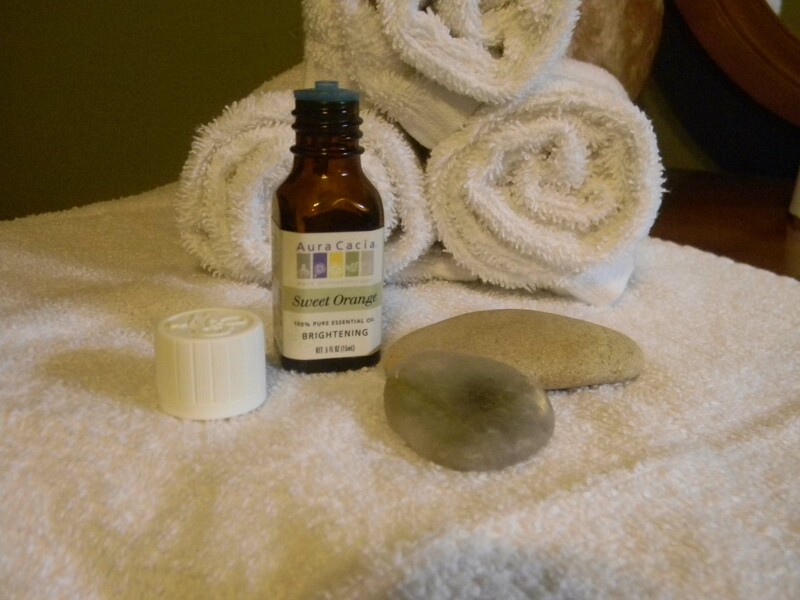 Looking for a massage oil recipe for a specific illness or pain? Here are the best massage oil recipe creations we have found, using pure essential oils and a variety of cold-pressed carrier oils for common ailments that massage therapists address every day. With a few simple products you can bled a wonderful oil for your skin or to use on someone else, and it's so much fun to create. If you are just beginning to use essential oils, start with 2-3 oils at first, and become familiar with them before adding more. This book, Aromatherapy Recipes Using Pure Essential Oils Volume 1, has over 600 natural massage oil recipes for basic first aid, treating common ailments, making natural cosmetics and body care, as well as how and when to use essential oils in massage therapy. It provides recipes using several pure essential oils for room sprays, diffusers, body lotions and massage oils. It also has recipes for aches or pains, coughs / cold symptoms, as well as tips on using essential oils safely for cleaning. When you learn more about essential oils, aromatherapy massage, natural carrier oils, and therapeutic massage oil recipe blends, you will become more comfortable with the properties each oil has, and be able to understand it's ability to effect the mind, body, and spirit.